Fission Uranium (TSX: FCU; US-OTC: FCUUF) is currently in the midst of a $6.4 million summer work program at its near-surface Patterson Lake South (PLS) uranium project in northwestern Saskatchewan. It aims to complete the remaining resource and geotechnical drilling to field a pre-feasibility study (PFS) in 2018’s fourth quarter. 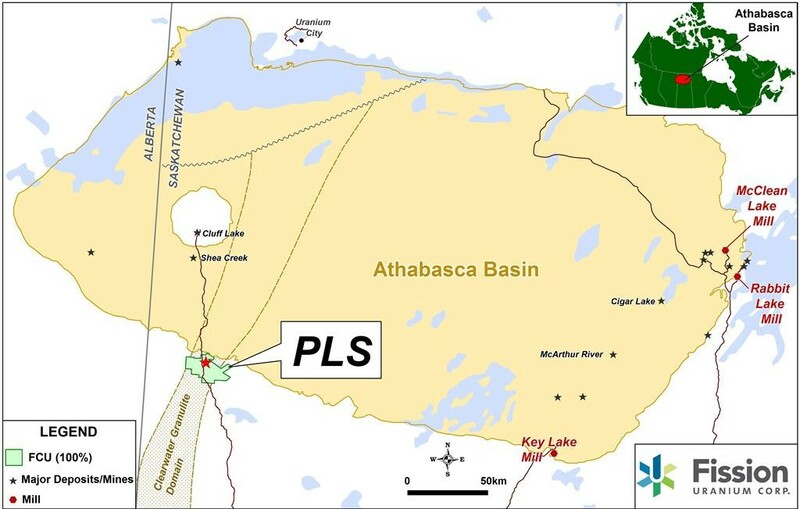 PLS contains the Triple R deposit: five mineralized bodies across a 3.2 km mineralized trend on the southwestern end of Saskatchewan’s Athabasca Basin — in a location that defies the once conventional wisdom on where to find uranium in the area. Until Fission discovered PLS, most believed uranium deposits resided on the eastern end of the basin, that all the near-surface deposits had been found and explorers needed to look deeper. It makes sense: all of Canada’s current uranium production comes from the eastern side of the basin. 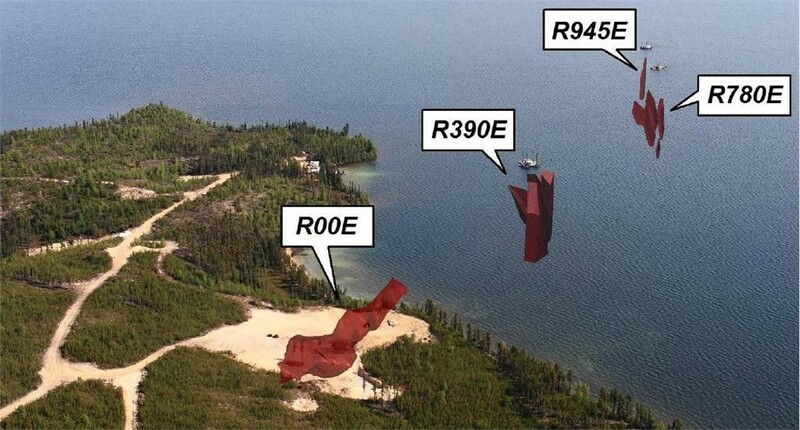 It did so partially thanks to a high resolution airborne radiometric and magnetic survey it ran in 2009 using now-proprietary technology developed by a private consulting group that detected a radioactive anomaly about 3 km west of Patterson Lake, in a previously un-staked area. “You need geophysics to paint the picture of the rocks below because there’s really no outcrop,” Fission president and chief operating officer Ross McElroy says during a site visit to PLS. Fission discovered a high-grade, uranium boulder field through follow-up work on the anomaly. Through drilling, it traced the anomaly back to the west shore of Patterson Lake. It drilled the discovery hole, announced on Nov. 5, 2012, in what is now called the R00E zone. Since then, the project has grown considerably. Its now 17 mineral claims cover 310 sq. km. From west to east, the five separate mineralized zones that make up the Triple R deposit are: R1515W, R840W, R00E, R780E and R1620E. Drilling in 2013 by Fission Uranium into the Patterson Lake South (PLS) uranium discovery, 8 km southwest of the Athabasca basin in Saskatchewan (showing the locations of 4 zones). Credit: Fission Uranium. R1515W covers 90 metres in strike length, 68 metres across strike and 220 metres vertical. Mineralization remains open in several directions. R840W is located 515 metres to the east along strike of R1515W and has a strike length of 430 metres. R00E is located 485 metres to the east along strike of R840W and is drill defined to 115 metres in strike length. The R780E zone and R1620E zones make up the eastern region of the Triple R deposit. Both zones are located beneath Patterson Lake where water depth is generally less than six metres and overburden thickness is generally about 50 metres. R780E is the biggest zone. It’s located 225 metres east of R00E and has a strike length of 945 metres. R1620E is located 210 metres along strike to the east of R780E, and is drill defined to 185 metres in strike length.